Join Claire Ingleheart for another Sing and Supper evening after a successful evening in May. Experience the joy and exhilaration of singing in 3 or 4 part harmonies. Expect Sea Shanties, Folk, African and more. 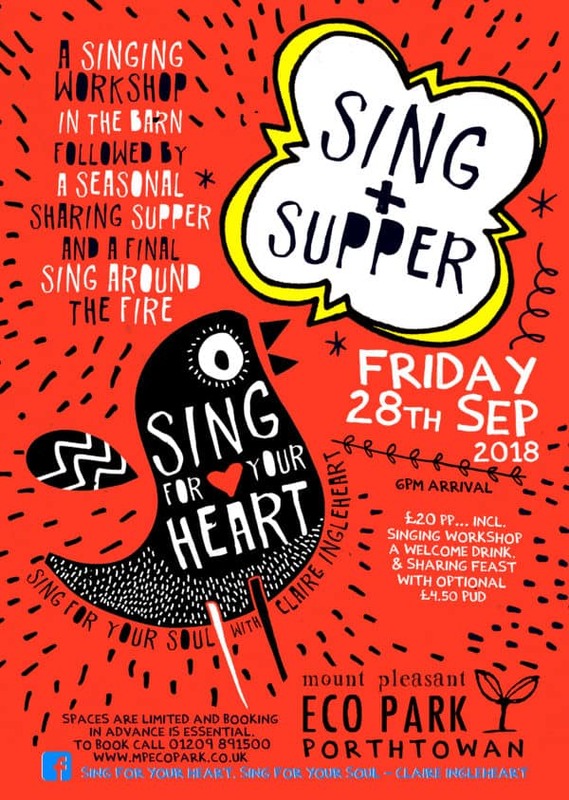 A relaxed singing workshop in the Barn will be followed by a delectable sharing feast, with flavours inspired by cultures from around the world. End the evening with a campfire at sundown and sing under the stars. £20 per person, includes singing workshop, welcome drink & supper. Pay an additional £4.50 for a dessert. La Cantina Bar will be open and serving a selection of local beers, ciders and organic wines. Spaces are limited, so please book in advance.